Log My Dog There are 2 products. 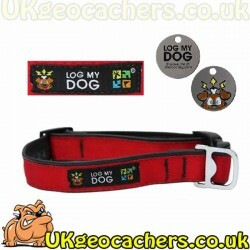 This great geodog collar is made by Cycle Dog in Portland, Oregon. These high quality items are made out of recycled materials such as inner-tubes and feature a quick release buckle. 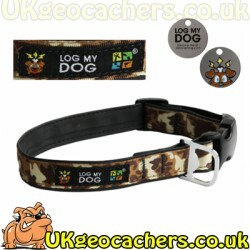 Comes with a Log My Dog trackable tag. Available in three sizes.